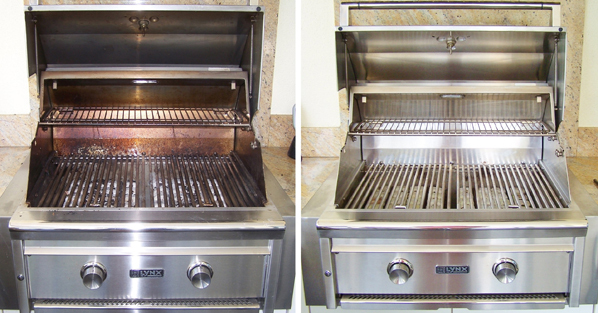 We do complete cleaning and restoration of barbecue grills in Arizona. 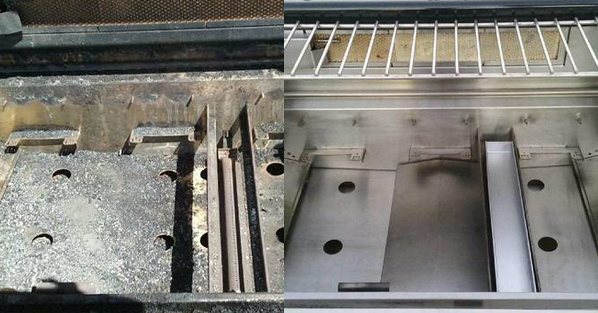 Servicing and Restoring barbecues in the the following areas Phoenix, Scottsdale, Mesa, Tempe and Gilbert. 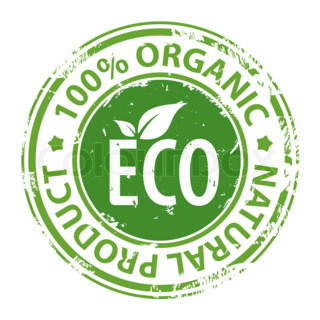 We provide a complete Barbecue cleaning service that removes ALL traces of grease, fat and carbon! We provide mobile service so you don’t have to worry about hauling your Barbecue grill out of its spot! Contact us today at (480)575-0000. Must submit at least 5 clear photographs. Grill must be a built in grill and one of the top name brands. All parts and labor on repairs are warrantied for 18 months, beating all competitors including most factor warranties by 6 months. Only highest quality parts are used and only the highest caliber technicians are employed. We provide a complete Barbecue cleaning service that removes ALL traces of grease, fat and carbon – especially in areas you can’t see! We provide mobile service so you don’t have to worry about hauling your Barbecue grill out of its spot! 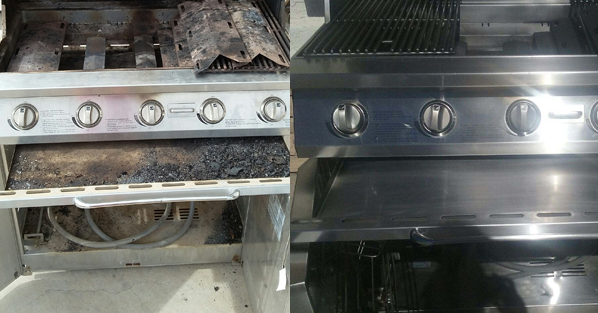 We remove key components and deep clean them in specially equipped trailers using environmentally friendly treatments that will leave your Barbecue looking new again! This company is amazing. It’s owner operated and I love the small business feel. We bought a grill off of offer up that turned out to be a total dud and we were really down thinking that we were out a lot of money. My husband had the idea to look up grill repair companies. I tried 4 other companies, before finding Ted. The moment he answered the call it was a different experience. Inquisitive, polite, courteous and responsive, we made an appointment for him to come and review the grill, his follow up skills are awesome. He was prompt and respectful of my home. My dogs liked him too. He gave me a very reasonable quote and from there we were off. 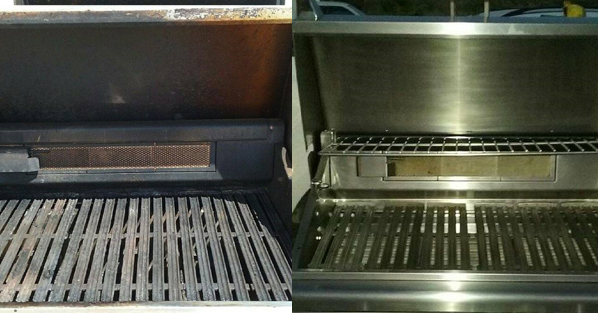 He took the grill away and a short time later, the product he returned to us looked brand new out of the box. It works perfectly…. And looks amazing. Not only did we still save money, but my husband can grill again!!! We love grilled food in my house. 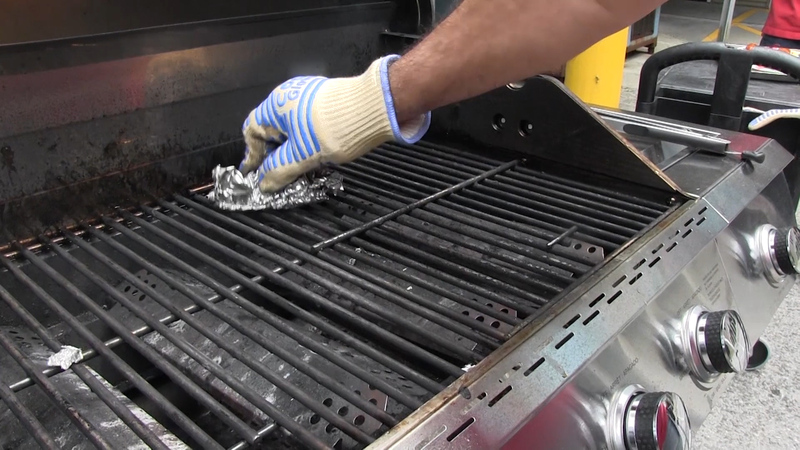 Even after he dropped the grill back off, he gave us a run through helping us understand just what our grill was capable of, explained his warrantee on the work and parts…. And even gave us a follow up call to make sure we were happy and things were going well. That kind of effort and customer experience is exactly why we will not only always go to Ted, but are spreading his name everywhere. I love a small business that really knows how to take care of their customers. I highly recommend this company. Highly recommend this business. We bought a home that had a 15 year old built-in Jenn-Air grill. It looked fine from the outside, but was dirty and in rough shape internally. I badly burned my fingers on the burner knobs the first time I fired it up because only a couple of the burners even partially functioned. I ordered some replacement parts and spent about 4 frustrating hours trying to install them before deciding I need professional help. 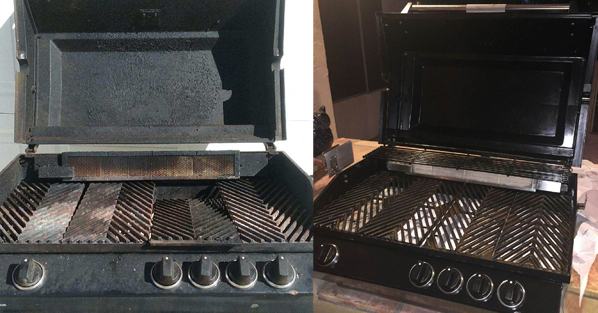 Ted was fantastic, he picked the grill up on a Saturday and delivered it back the following Saturday after completely overhauling it, even upgrading a few components, and refurbishing it back to like-new condition. His pricing was very fair and I am a satisfied customer with a grill that should now last us for many more years of use. Ted was amazing. He’s professional, he’s detailed, and he takes a lot of pride in his work. You can tell this is his passion. Not only did he take our mess of a BBQ and make it look new, he communicated its progress along the way. When he gives you a quote he stands behind it no matter what, that is customer care. We could not be happier with our experience and his service. Highly recommended! OUTSTANDING OUTSTANDING OUTSTANDING. I have a 19 yr. old Weber summit. It’s in good shape, no rest et. It needed cleaning badly. Worked fine but the inside was dirty, to say the least. I called Ted and he came by to have a look. The next day he took it away and had it back in two days. More importantly when he said he would. This grill now looks absolutely brand new! Amazing. He is thorough and does not cut corners. His estimate was reasonable for the work done. I was overwhelmed at how good it looks. 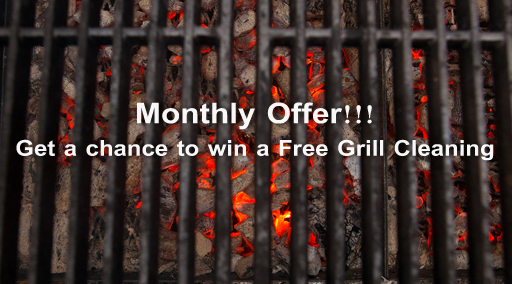 If you need your grill cleaned/ repaired, look no further. Call him! I will now have do this every 6 months or so. Moreover, Ted is just a good guy! Ted did an incredible job getting my grill back up and running. 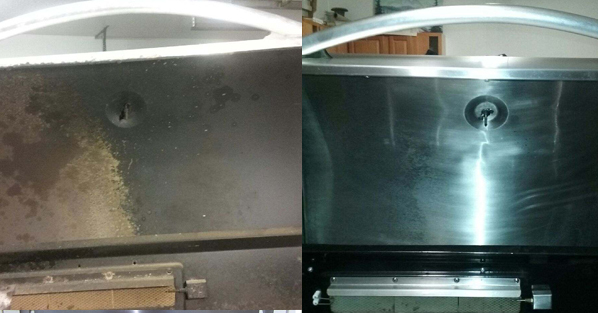 He was able to fix the igniters and make the repairs to get the grill back to factory-new condition. He even went above and beyond, hand painting the Thermador logo that’s had faded with time. Highly recommended!